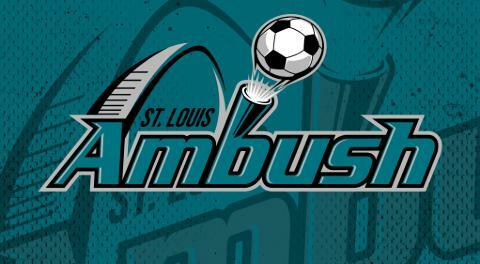 St. Charles, MO (February 21, 2019) – The St. Louis Ambush (8-8) host the Orlando SeaWolves (5-5) this Friday, February 22 at 7:35 p.m. CT at the Family Arena, then after a day off Saturday, host the Florida Tropics (4-11) at 3:05 p.m. CT on Sunday. Three teams are locked in a battle for the second playoff spot in the MASL South Central Division. All three teams – the Ambush, the SeaWolves and the Kansas City Comets – have .500 records. The Ambush duel the SeaWolves on Friday, then the Comets host the Sea Wolves on Sunday. With St. Louis having played six more games than Orlando, defeating their division rivals on Friday is as close to “must win” as they come. The Tropics come to town looking to right the ship after losing their last four games. With a 4-11 record, their path to a playoff spot would be a difficult one, but they can still play spoiler to the other teams in the division. With the Ambush having played more games than Kansas City or Orlando, a victory over Florida on Sunday is another crucial one. Forward Justin Stinson leads the team in points (22) and is second in goals (14). He is a candidate for Rookie of the Year. He earned a spot on the Sporturf MASL Team of the Week last week. Has five goals and two assists in last three games. Forward Zach Reget leads the team in goals (16), is second in points (21) leads in game-winning goals (2) and currently leads all rookies in the MASL in goals scored. He’s been named MASL Player of the Week once, named to the Sporturf Team of the Week twice and earned honorable mention four times. Like Stinson, Reget is a candidate for Rookie of the Year. Has one goal and four assists in last three games. Midfielder Lucas Almeida leads the team in assists (12) and is third in points (18). His five-point game against the Comets on February 9 earned him a spot on last week’s Sporturf MASL Team of the Week. Has three goals and five assists in last three games. Midfielder Gordy Gurson leads the team in goals (18), assists (11), points (29), points per game average (2.9) and game-winning goals (3). Has eight goals and three assists in his last three games. A colorful personality on the field, Gordy loves to antagonize the St. Louis fans who once cheered for him when he was a member of the Ambush. Forward Osvaldo Rojas is second on the team in goals (13) and tied for second in points (18). He has two goals and three assists in his last three games. Has two goals and three assists in last three games. Midfielder Thiago Freitas has eight goals and seven assists since being acquired from Harrisburg on December 25. Has five goals and two assists in last three games. Forward/midfielder Guilherme Dos Santos leads the Tropics in points (20), goals (15), average points per game (1.8) and power play goals (2). Midfielder Victor Parreiras is second on the team in goals (11) and points (18) and leads the team in game-winning goals (2). Has three goals and an assist in his last three games played. Forward Max Touloute leads the team in assists (9). Midfielder Antonio Manfut was dealt from the Ambush to the Tropics on January 16. He has tallied six goals and one assist in six games played for the Tropics. The first 1,000 fans in attendance Friday night will receive Ambush player card set #3. Fans will also be able to enjoy a free autograph session with Ambush players on the field immediately following Friday’s game. After this weekend’s games, the Ambush play back-to-back home games next weekend, hosting the Harrisburg Heat Saturday, March 2 at 7:05 p.m. CT, then the Milwaukee Wave Sunday March 3 at 3:05 p.m. CT. On March 2, the Ambush will wear special St. Patrick’s Day green jerseys that will be auctioned off to benefit Junior Achievement, sponsored by CPAs for Hire. On March 3, the popular Annual Mascot Game will be held at halftime, featuring mascots from various St. Louis area sports teams, businesses and organizations. HOME PAGE PHOTOS: Left photo of Gordy Gurson by Brian King. Right photo of Antonio Manfut by Jerry McGrath.